Mike Judge tracks outsized personalities – and their obliviousness to others – in his work, as seen in films such as Idiocracy, on TV in King of the Hill and in his most recent success, the HBO comedy series Silicon Valley. Actual bigger-than-life personas take the focus in his newest project for Cinemax, the enthralling animation/documentary/behind-the-music hybrid, Mike Judge Presents: Tales From the Tour Bus. The show is devoted to roots music; the first season offered a unique country/rockabilly focus and the second season is a moving and hilarious history of a genre often left unexamined: funk. 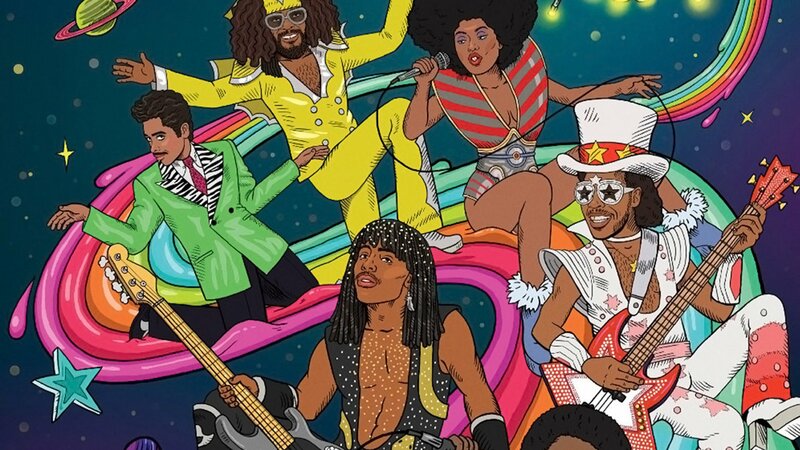 Episode subjects include Rick James, George Clinton and Betty Davis (not the actress, but the pioneering priestess of funk, without whom there’d be no Madonna, Vanity 6, Beyoncé or even Taylor Swift). The Davis and Clinton episodes of Tales From the Tour Bus will be shown and Judge will be in attendance to talk about his musical inspirations after the screening. Update, 2/13: This event is now open to the general public. Film Independent Members can reserve screening tickets starting at 10:00 am on Friday, February 1. | Screening tickets are free; limit two per Membership. | Proof of Member status is required to reserve tickets during advance reservation period. Validated parking in theater garage, $3.00 for up to 4 hours. $2.00 every 15 minutes thereafter, up to a maximum of $14.00. PLEASE NOTE: Tickets may be picked up on the day of the event, as early as 6:00 pm – look for Film Independent signage. Tickets are for general, unreserved theater seating. Ticketed guests must be in their seat(s) 15 minutes prior to the advertised start time or seat(s) may be released. Reservations do not guarantee entry, even with a ticket in hand. Entry/seating will be handled on a first come, first served basis. Tickets are nontransferable and can only be picked up by the individual who reserved them. Event details and guest participation are subject to change or cancellation without prior notice.